Sometimes, 19% may not really seem like much to you. For example, if your change at the shop was less than 19 pence, you might tell the cashier to keep it, or throw it in the charity donation box. But, in other instances, it might feel like a lot. Not many people would be too impressed if their tax went up by 19%, for example, or woke up one morning to find that their monthly household bills had increased by that amount. Similarly, if 19% of every £1 you earned disappeared, it wouldn’t take long for you to start feeling frustrated. According to studies, however, B2B marketing teams on average waste around 19% of their total advertising budget each month, something which is infuriating for many B2B and marketing professionals. If you work in B2B marketing or run a B2B company, it’s unsurprising that you want to know why many B2B teams are in this situation. Put simply, the money being wasted is commonly used to pay for poor choices when it comes to advertising and marketing that do not work out well. B2B teams are not paying as much attention as they should or doing the right amount of research when it comes to choosing an advertising platform, resulting in money being spent and invested into strategies that don’t provide a good return and in some cases even result in a loss. 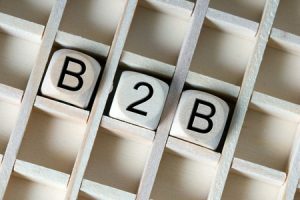 In order to improve your B2B marketing strategy and ensure that money is invested in the right places, it’s crucial to reach out to more than one business before the deal is done. In a lot of cases, B2B marketing teams are losing money by targeting only one or two businesses, leading to deals falling through and money being lost. In other cases, B2B marketing teams target a whole range of different businesses but hit everybody with the same pitch and marketing materials, failing to realise that many businesses have their own unique set of needs and concerns. Taking a leaf from the B2C industry and focusing on market segmentation can improve your B2B marketing results and help you to claw back some of the money lost. In order to improve the results gained from B2B marketing efforts, it’s essential to understand the content that your target audience wants to see. Far too often, B2B marketers fail to properly understand what it is that their customers are looking for, leading to unnecessary rejections and a failure to build a good relationship with potential new customers. Because of this, it’s essential to have a clear understanding of the different types of content which work when moving through the sales funnel. For example, at the top of the funnel you should prioritise building relationships and allowing potential customers the time to get to know your organisation through things such as blog posts and social shares. Don’t let your B2B marketing team lose 19% of their budget! With the right strategies, you can ensure that all the budget is used wisely. I feel one of unqiue reason why b2b advertising doesn’t get large result because they only promote their brand, they only write who they are, they are over confidence if every people know their trust , It is very dificult to sell anything when no body trust us. In my opinion , b2b not only focus on basic management ,but also they need great ping service like Pingler to ensure every content rank high in search engine.